French painter Fernand Léger trained as an architect before enrolling at the School of Decorative Arts, Paris in 1902. In his early works he experimented with cubism before moving on to a more figurative style. Léger served with the French Army during World War I and his sketches of artillery, soldiers and airplanes marked the beginning of his 'mechanical' period. During the 1930s his work became less abstract and he produced many monumental figurative compositions. Léger received the Grand Prize at the Sao Paulo Biennial in 1955. 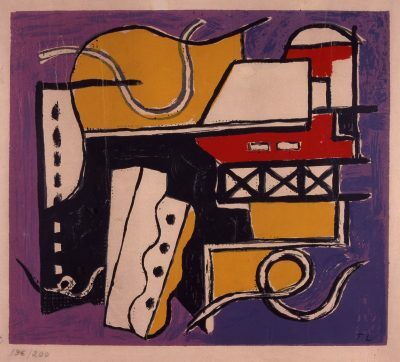 The Musée Fernand Léger was opened in Biot, France in 1960.